At TLC Carpet Care In Parker Co Our mission is to treat all our clients with respect and do a great job every time. Those are simple, yet powerful statements because it affects everything we do. With over 13 years experience, we know what we are doing and we strive to keep our clients 100% satisfied.One of the things we take pride in is our Powerful Truckmount Systems. We use the Prochem line which by far rant as the industry best. From the PSI, to the heat transformers to the powerfull blowers these cleaning machines are second to none.Feel free to examine the information we have put together below to help you better understand who we are and how we conduct our business. Remember, we want to earn your business as your exclusive carpet cleaning company and have you as a client for life.Dog & Cat Urine Removal & Odor ControlCat Urine & Dog Urine WoesIf you have a pet that spends any time indoors, chances are they will, at one time or another, have an accident. So if you have dog urine, cat urine, or dog/cat odors, call us to get rid of Pet Stains, Pet Urine & Pet Odors. We can specially treat Dog & Cat Urine to help lift out any discoloration. It is important to treat your Dog or Cat Urine as quickly as possible to get the maximum benefit. Learn more about our special carpet cleaning service that handles your pets carpet cleaning needs.Let us prove to you that TLC Carpet Care has the Dog & Cat Urine Removal & Odor Control Expert.Stain Removal for Carpet CleaningStains Removal on your carpet can be difficult to clean. However removal of stains can sometimes be done with household cleaners around your home. Remember when doing your own stain removal; never rub a stain, just blot. Rubbing breaks down the carpet fibers and spreads the stain.If a stain is still visible call us right away, our professionally trained technicians are specially trained in stain removal techniques. We do stain removal on carpets and upholstery. We handle all kinds of stain removal including: red wine stains, red dye, food stains, pet stains, oil, grease, magic marker, ink, gum, wax and others. 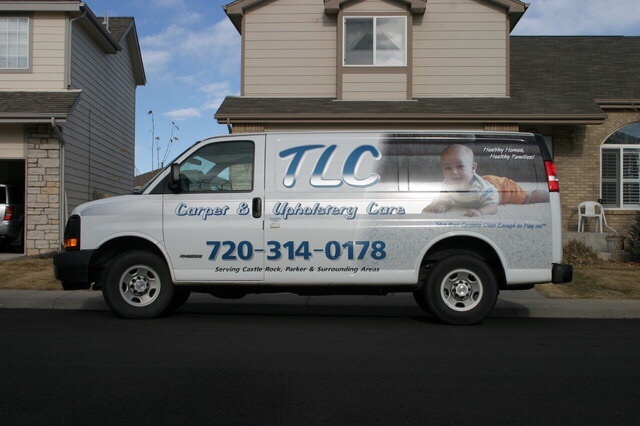 Call us and see for yourself why TLC Carpet Care is the Stain Removal Expert.Professional Training is what we make sure that all our technician undergoes training in all aspects of our carpet cleaning services. For example, we provide extensive training in the proper techniques for all types of Upholstery & Carpet Cleaning. Including hot water temperature selection, water flow, and stain removal techniques. Stain removal is a complex technique that requires familiarity with different stains as well as which carpet cleaning methods will provide the desired results without damage to the carpet.Carpet Cleaning GuaranteeThe TLC Guarantee Protects YouOur working methods and techniques have been developed over one and a half decades, so we know what we are doing. In fact we guarantee our carpet cleaning work in writing. Our guarantee last 30 day spots removal. Anytime you have questions or concerns fell free to call.